It's a straightforward choice. Do you want the opportunity to improve and even save the lives of dozens of people? 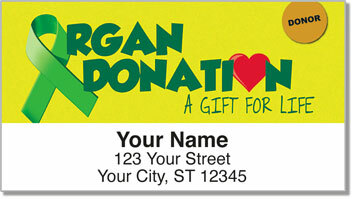 That's what could happen if you choose to become an organ donor. You could think of it as recycling yourself. But the truth is - you'll be offering the gift of life to people who are anxiously waiting for their second shot at living. 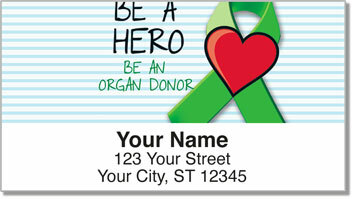 If you're already an organ donor, these unique address labels will encourage others to follow your lead. 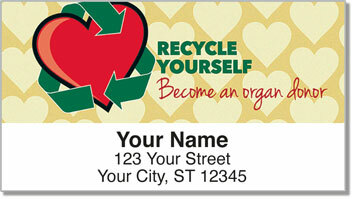 Stick them on all your outgoing mail for a finishing touch that inspires people to make the right decision. A self-adhesive backing also makes your new labels quite convenient. Just stick them on every envelope and forget about scribbling out your return address. 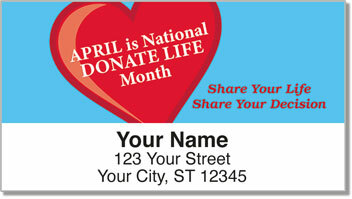 Get your own Organ Donation Address Labels right now! Order them with matching checks and checkbook cover to make things complete. Free shipping is also available.